This stunning split level flat is offered on a furnished basis. Combining opulent period features with modern style. 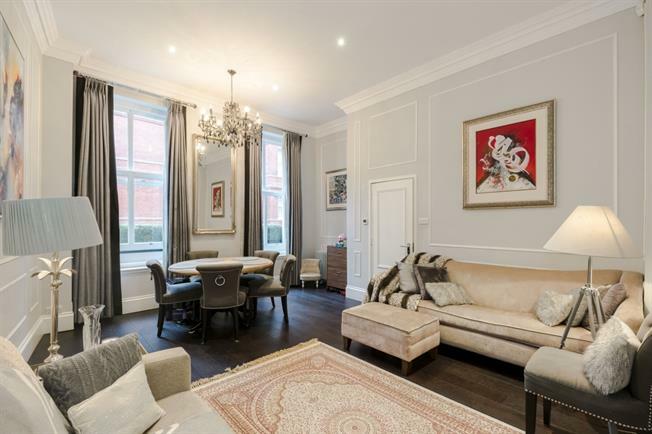 The ground floor comprises large reception room with high ceilings, double height windows and wooden floors. The modern fully fitted kitchen and guest WC are also located on this floor. The lower ground floor comprises three double bedrooms and two bathrooms. Please note the furniture may be different to that shown.